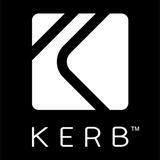 Kerb™ is a global parking app, which allows you to rent your private space to anyone looking to park their car, bike, boat or helicopter. Parking 5 mins walk to Church St. Book via KERB Parking. Parking ext to QEII, Children and Hollywood Hospitals. Book via KERB Parking. Parking near Hurstville station. Book via KERB Parking. Parking on Pacific Highway. Book via KERB Parking. 2 undercover secured parking spaces right on Pacific Highway. Located at 506, Pacific Highway, Lane Cove North NSW. To Book this space- Go to https://kerb.works/space/3785 I could give you discount of 5% to 15% depending on the number of days of booking. Parking near Milsons Point train station. Book via KERB Parking. Parking near Cross Station. Book via KERB Parking. Parking near Gold Coast Airport. Book via KERB Parking. Parking on Subiaco Road. Book via KERB Parking. Lock up undercover parking space on Subiaco Road. Located at 132 Subiaco Road, Subiaco. To Book this space- Go to https://kerb.works/space/3582 DISCOUNTS : 5% discount for bookings of 5 days or more | 10% discount for bookings of 20 days or more | 15% discount for bookings of 40 days or more. Parking near Carrum railway station. Book via KERB Parking. Parking in Perth CBD. Book via KERB Parking. CONVENIENT parking in the heart of Perth. Located at 418 Murray Street, Perth. To Book this space- Go to https://kerb.works/space/3491 DISCOUNTS : 5% discount for bookings of 5 days or more | 10% discount for bookings of 20 days or more | 15% discount for bookings of 40 days or more. Parking in the heart of Woolloomooloo. Book via KERB Parking. Parking in Central New Farm. Book via KERB Parking. Parking in Ryde. Book via KERB Parking. Parking in Mona Vale Road. Book via KERB Parking. Parking near University of Sydney. Book via KERB Parking. Parking in Brisbane St, Hobart. Book via KERB Parking. Parking near Uni of Sydney, Newtown, RPA. Book via KERB Parking. Parking near Crown. Book via KERB Parking App.